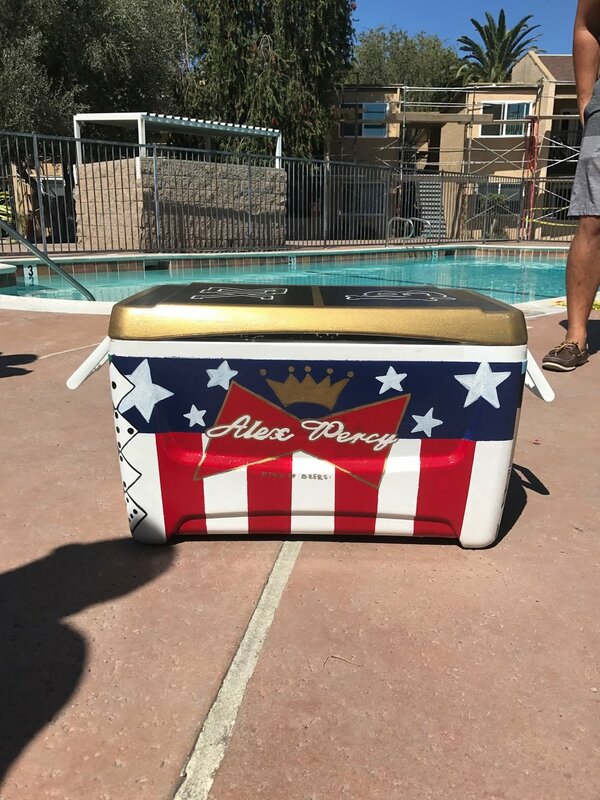 Whether it's a date event or vacation, fraternity coolers are a huge tradition among sorority and fraternity outings. To those that are crafty, this may seem like a fun project and to others this is a huge undertaking. 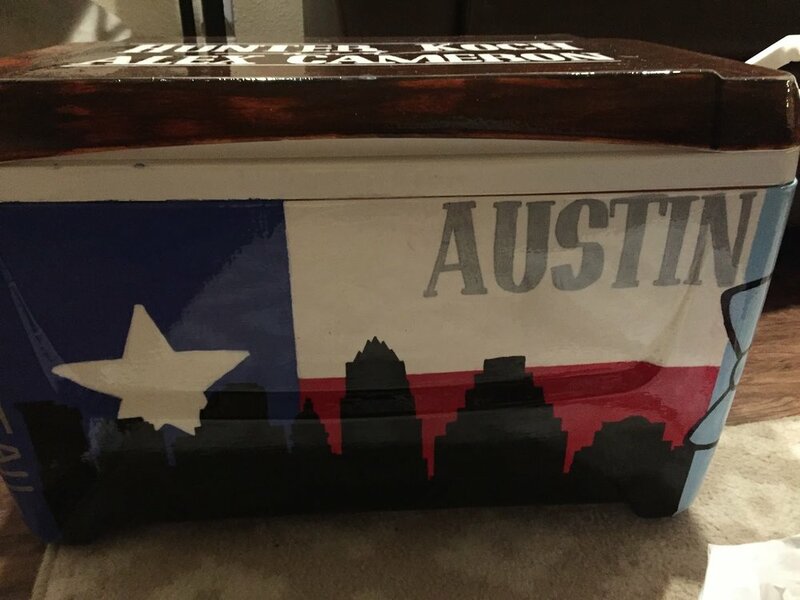 Our Campus Managers rounded up their biggest takeaways they learned from embarking on their cooler making. We hope you enjoy seeing their finished pieces and learn something along the way. 1. PLAN PLAN PLAN! Start early so you have plenty of time to let it dry and fix parts you don’t love. Most importantly - HAVE FUN with it!! It’s just as much yours as it is theirs. 2. To get perfect lines and font, print out what you want (ie. the picture of archer) then put tissue paper over the print out and trace the print out on to the tissue paper. Next, tape the tissue paper onto the cooler and trace over your tracing in fine tip sharpie! Now you have your outline to paint, it’s time consuming and repetitive but it will make your cooler beautiful. 3. Buy an electric sander from Walmart they’re $14 and so worth it. 5. 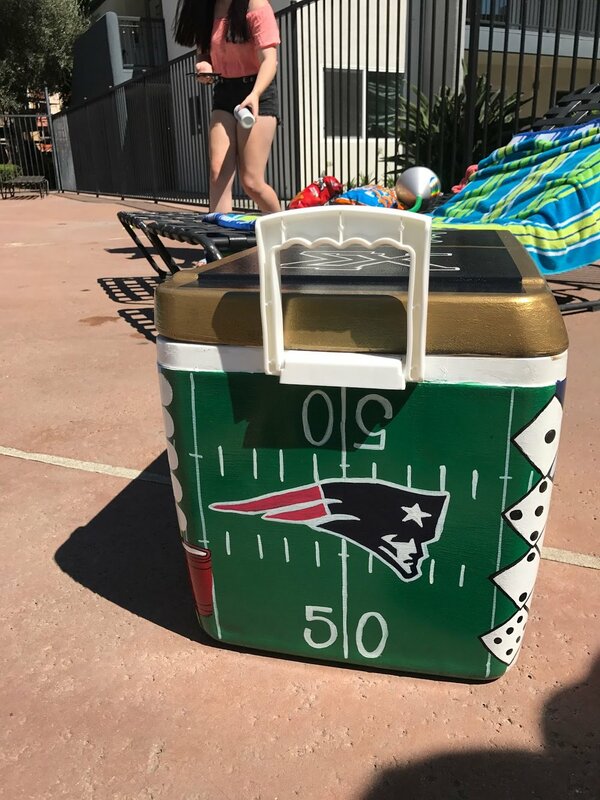 If you have time to seal your cooler with epoxy resin DO IT! (only if you have the recommended 72 hour drying time!) Make sure to follow the box directions carefully. 6. Put something fun on each corner to help divide it in a clean looking way. Also, sand the cooler REALLY well before you start to paint.